In 1962, our founding partner, Bob Bell, formed our firm now known as Erickson, Bell, Beckman & Quinn. Our general practice law firm continues to provide legal services in the areas of personal injury, workers’ compensation, municipal law, employment law, and real estate. With more than 150 years of combined legal experience, our attorneys continue to advocate for those most in need. Erickson Bell Beckman & Quinn PA was originally founded in 1962 as Peterson, Bell and Converse. 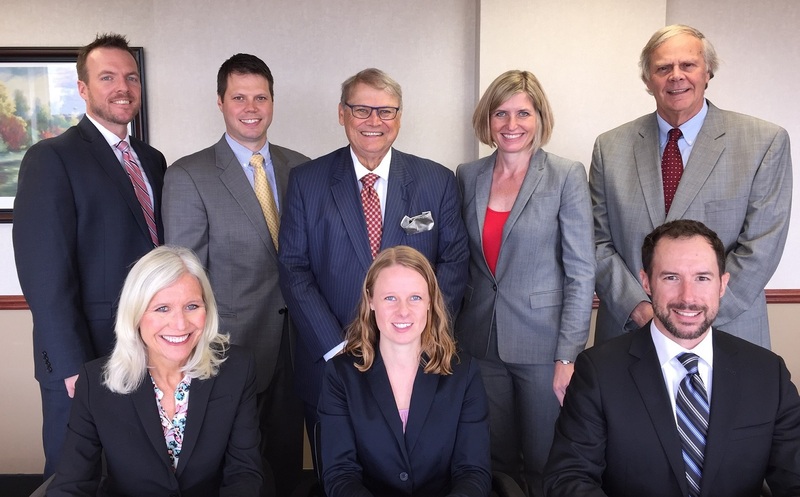 From the very beginning, we have been a Minnesota law firm. We started as primarily a union-side law firm, but we have had attorneys representing personal injury and workers’ compensation clients since the earliest days of our firm’s history. As the need has dictated, we have provided estate planning and real estate to our practice areas, as well. We represent clients who have suffered personal injuries or work-related injuries in Minnesota’s Twin Cities of Minneapolis and St. Paul, throughout the state of Minnesota and in western Wisconsin. Attorneys from our firm carry on the proud tradition of our founding lawyers, who emphasized integrity, knowledge and commitment. With nearly 50 years as a law firm, we can now add experience to that list. Our current legal team maintains our long-standing Minnesota tradition. We are proud to continue this firm’s proud tradition of helping our neighbors who have suffered serious personal injuries. One of the keys to our long-lasting success is our commitment to our clients. With our experience, our attorneys know that we can’t compare your case with someone else’s. No two cases are the same. For this reason, we take the time to get to know the unique facts and legal issues of each client’s case. When you work with Erickson Bell Beckman & Quinn PA, you will work with your attorney throughout your case. Our lawyers will respond to your calls quickly to help you stay in the loop on your case, and we will give you the personalized attention that your case deserves. We represent clients in personal injury cases that involve serious injuries and scarring or wrongful death from motor vehicle accidents or work-related accidents, with a special emphasis on helping injured union workers. We also handle wills, trusts and other estate planning matters, real estate, criminal defense, employment and municipal law. If we do not obtain recovery for your case, we will not charge you attorney fees. Call 651-223-4999 in Minnesota to schedule a free initial consultation with an attorney from our firm.